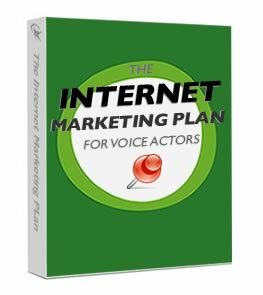 That would be the title that the folks as Voices.com choose not to use for their latest e-book entitled Internet Marketing Plan for Voice Actors. I was given an advanced copy and asked by my friend Stephanie Ciccarelli to do a review on audio’connell’s voiceover blog on! She’s read my blog before so you know right off that top that if she asked me for a review, she’s one brave business woman! You never know what’s going to fly off this keyboard. My quick hit review is this: it’s a good product for those voice actors who have no internet savvy at all. For those voice actors for whom web 2.0 sounds like double the upgrade of their current web capabilities, they will find some good stuff in here. Some parts I thought were really well thought out including the sections on Internet Marketing Strategies, Internet Links, and Social Media. I’ve long said that the Voices.com founders were very web savvy based on their name change alone which was brilliant (they were formally known as Interactive Voices but then invested in the domain, Voices.com, smartly re-branding to their present day success). This is a company that has embraced Web 2.0 like a sailor on shore leave. They know how to market on the internet. And they have the best customer service in their industry. â€¢	For a book that is primary but not exclusively targeted at the uninitiated in web marketing, why not spend a page at the beginning of the book to tell the reader how they should use the book. Parts of it should be read in detail, some contents could be covered as neededâ€¦but the setting of expectations in an introduction page might help those who really don’t know what to expect from marketing on the web. 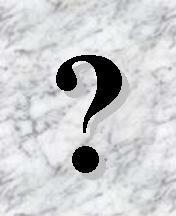 It might be as easy as taking the book’s sales pitch and fleshing that out a bit more. All this does not mean I hate the book. I do not. I think it was an in-house publication and it reads as if it was edited that way. As voice talents often require a second set of ears on their productions, this e-book required an outside set of eyes. Internet Marketing Plan for Voice Actors was/is in need of an outside editor to help the authors at Voices.com expound on concepts that the company is very qualified to write about. Three quarters of it is there, a professional editor could help take this worthwhile concept the other twenty-five percent of the way. While I was in Boston the wiki mail came down from Jay Moonah that registration is now open for Podcamp Toronto 2008. The date for Podcamp Toronto is February 23-24, 2008 which may not work for me as that’s the week that O’Connell Part Deux is deux, uh, I mean due. We’ll see. But at any rate, if you are nearby, you should attend Podcamp Toronto and I hope you will. Awake at 05:00, wheels up at 07:00 and into Beantown at 8:30. I’ve been to the BCEC (where Podcamp Boston is holding the uncoference) before for a major trade show but didn’t have any idea the true scope of this building….that means it took me a while to find registration. Its an unconference so signage is optional I guess. But I found my way and the registration folks were very nice and helpful. Then I moved over to Scott Monty’s presentation on Web 2.0 tools that are really useful…good stuff here. Someone in the Podcamp Boston community is doing a TV show and I did a quick interview for them. 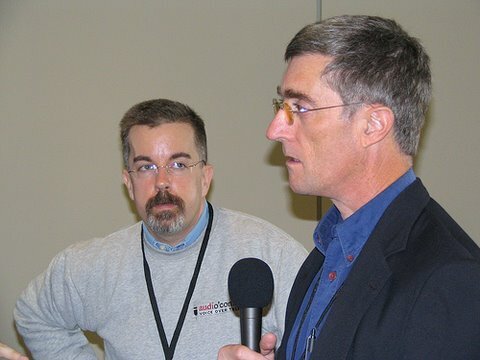 Caught up with John Wall (of Ronin Marketeer , the M Show and Marketing Over Coffee) who is a great guy (example: I sent him an email question on travel in Boston for the Podcamp trip and he was very helpful). Also met his wife who (like most of us husbands) is too good for him. (Just kidding). Currently listening to a really good presentation by David Meerman Scott who has written the book (The New Rules of PR) and its really good. What’s impressive about his presentation (like Mitch Joel) get paid for speaking like this….here they do it for free. But the payoffs are still strong for them, I’m sure. Maybe you’ve given this some thought. Maybe this has given you pause. Maybe if it hasn’t yet, it should now.